Harry Shearer, the man who provides the voice for numerous Simpsons characters (among them Ned Flanders, Mr Burns and Dr Hibbert) is also known for his portrayal of bassist Derek Smalls in mock rock band biography This is Spinal Tap. 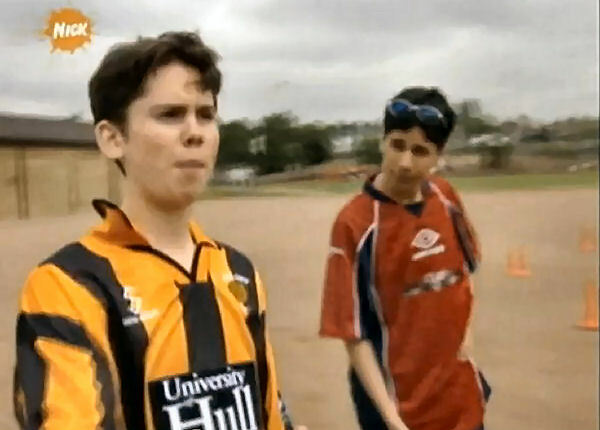 In several scenes, he appears wearing a distinctive blue and amber Shrewsbury Town shirt in perhaps the finest instance of a football strip being irrevocably connected to a slice of pop culture. There are many more, goalie shirts are de rigueur for Angelina Jolie’s coding-meff mates in Hackers (her bloke wears a Nike Arsenal keeper jersey), line dancing masseuse and Royston Vasey dweller Charlie Hull wore a Rotherham shirt in The League of Gentlemen, and what about the starving kid who cadges fruit from Bruce Wayne in Batman Begins wearing an early-90s Sheffield United shirt? Actor and friend to Basil Brush, the anthropomorphic raconteur fox, Roy North has never made his love of The Tigers a secret. 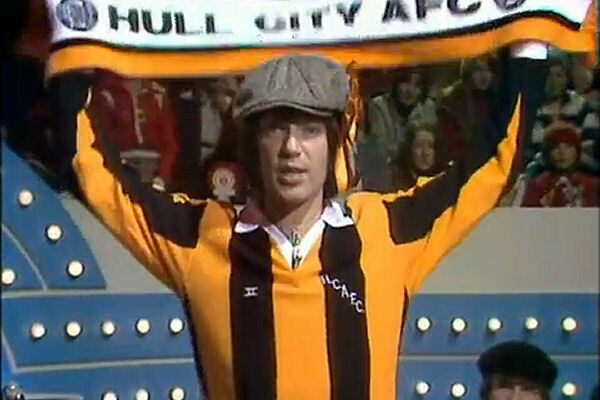 On a 1978 episode of Granada TV’s music show Get It Together, North wears the 1976-79 white collared and cuffed City shirt made by Europa that featured a HCAFC monogram instead of the tiger head. Given that replica shirts were rare at this time, it’s possible he’s wearing a matchworn shirt for the show’s football special. 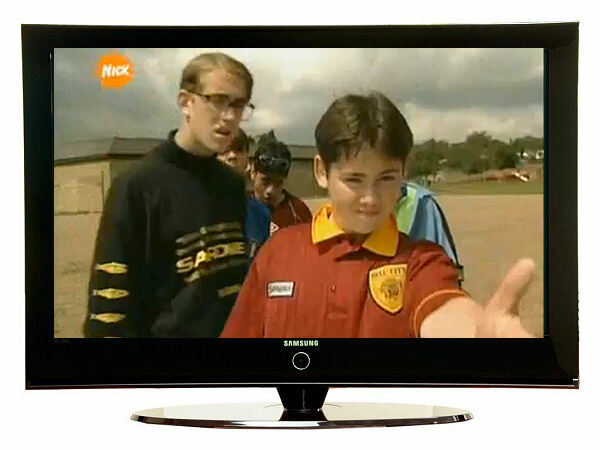 The Nickleodeon show about a school 5 a side team ran from 1998 to 2001. 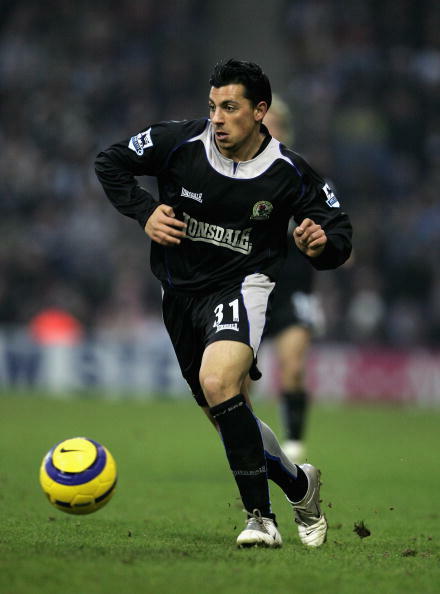 Character Jason Summerbee (played by Marin Delaney) was usually seen in a City shirt, wearing the maroon 1995-97 away shirt (here with green shorts, ugh) and the 1997/98 home shirt (above) during the show’s run. An abysmal BBC sitcom about a posh actor and a down to earth writer trying to get a break in Hollywood ran for 6 episodes around 2000. Fall Guy star Lee Majors mystifyingly agreed to be on the show, playing an actor usually cast as a cowboy who loaned his Hollywood home to the English pair. 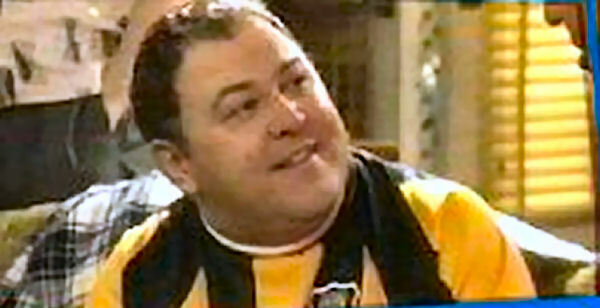 Mark Addy played the uncouth slob writer, who’s uncouth slobbiness was made evident by, you guessed it, his wearing a 1999/00 City shirt. 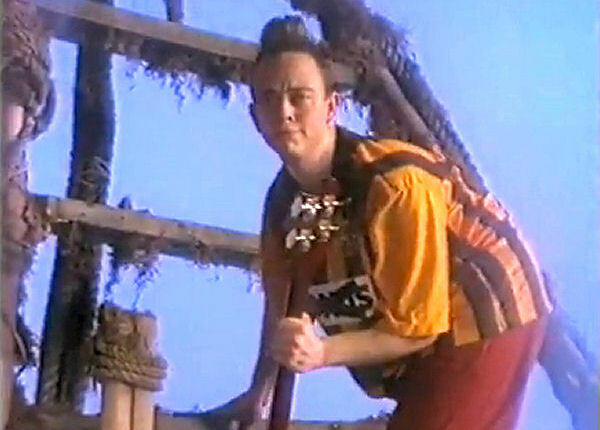 Local indie-rock band Kingmaker made a video for the song ‘Really scraping the sky’ (from the album Eat Yourself Whole) in 1992 that features Warwickshire born bassist Myles Howell wearing a 1990-92 City home shirt with the Bonus sponsor crossed out with two strips of gaffer tape. In the video, the band’s three members climb atop rickety stairs above the clouds. 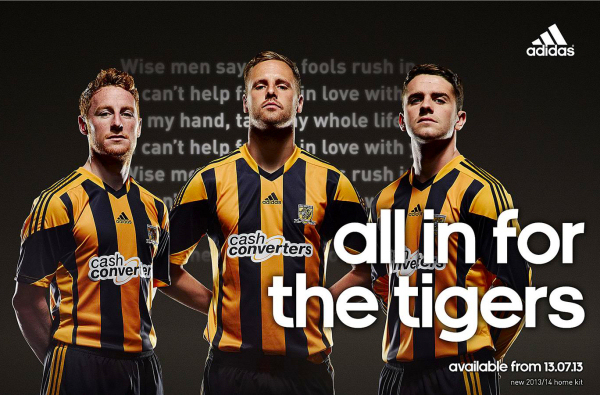 Howell suffers a precipitous fall late in the video, fitting given City’s relegation the first year that kit was worn. City were briefly referenced in the London Weekend Television comedy-drama Bostock’s Cup, about a fictional lower league team that go on an astounding FA Cup run. 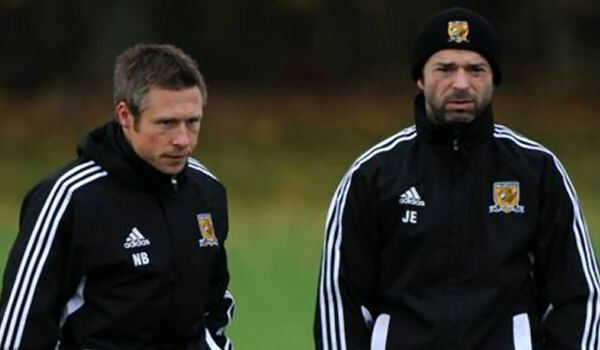 It is later revealed that the team progressed underhand means, including hypnotising City’s players, instilling a deep fear of the balls ahead of a cup tie. The few ‘City’ players shown on screen wore the early 1970s shirts produced by TOFFS. Though filmed in Cardiff, the 1998 film adaption of the John Godber play about an inept pub rugby team was set in Hull. In one scene, a chap wears the 1995-96 Super League/IBC home shirt. Or so we’re told, we have no desire to watch a rugby film to confirm. 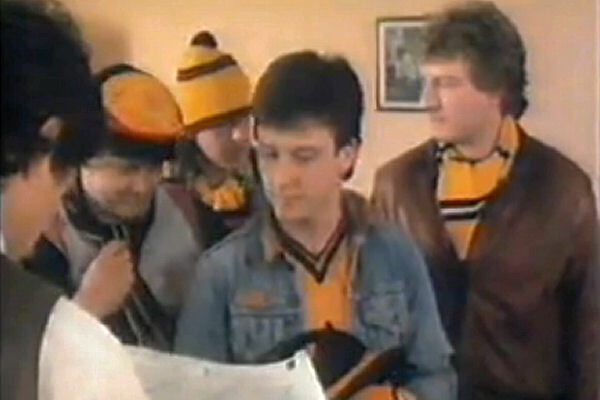 See You At Wembley, Frankie Walsh It has been too long since a City shirt was used on screen as a pop culture prop. Director Mark Herman may be the best hope for rectifying that, his penchant for slipping City references into his films is well documented. His first film See you at Wembley, Frankie Walsh (1987) was about a City fan who’s wedding would clash with The Tigers playing in the FA Cup semi final and featured a mostly obscured 1982-83 home shirt, but forget dogs called Brabin, pigeons called Duane and black and amber balloons behind brass bands, let’s have some proper kit action in your next film please Mark. J.H. Hill’s ultramarine army! Happy Kitmas!